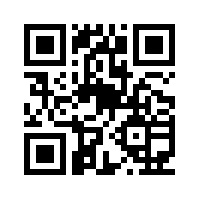 Genisys > Blog > General > Will QR Codes ever really take off? Will QR Codes ever really take off? At this point, the smart phone has become ubiquitous. I do still see people with the old flip phones on occasion, but it seems that most people now have smart phones. With that in mind, I would think that QR Codes would be more of a thing. They are certainly out there, but the problem seems to be one of adoption by the public. Many people just haven’t gotten into the habit of using them. That’s unfortunate, because in many instances it is just a much more efficient way to transfer information. Sure, here on the web, the clickable link rules. But if you are doing any sort of paper marketing – posters for shows, magazine advertisements, business cards, as example – it’s much quicker to scan a QR code and be taken right to the page than open the browser and type an address into a location bar. Perhaps it’s still coming.